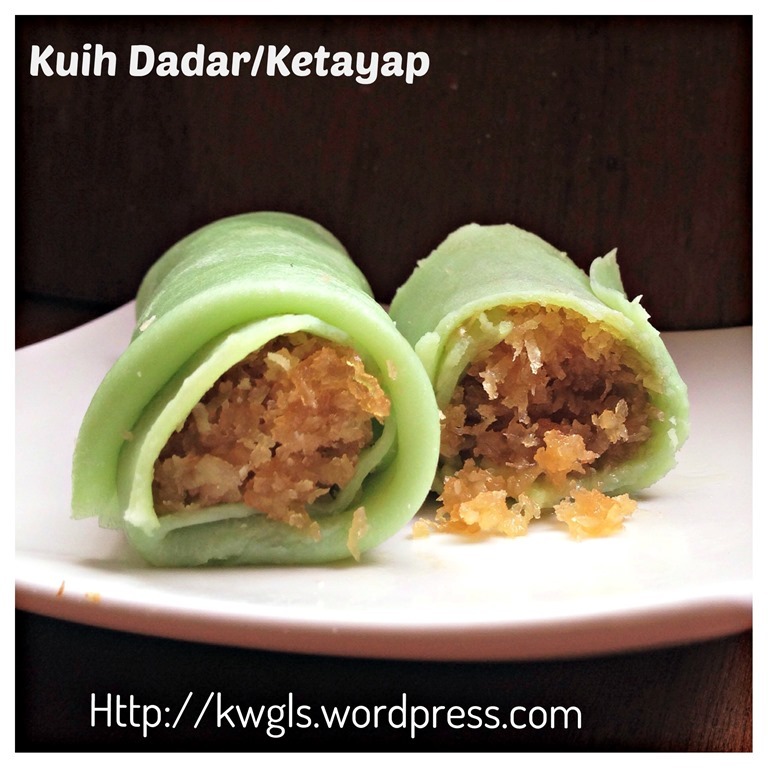 Kuih dadar or Kuih dadar gulung or kuih ketayap is one the Nonya or Malay delicacies that I liked very much. 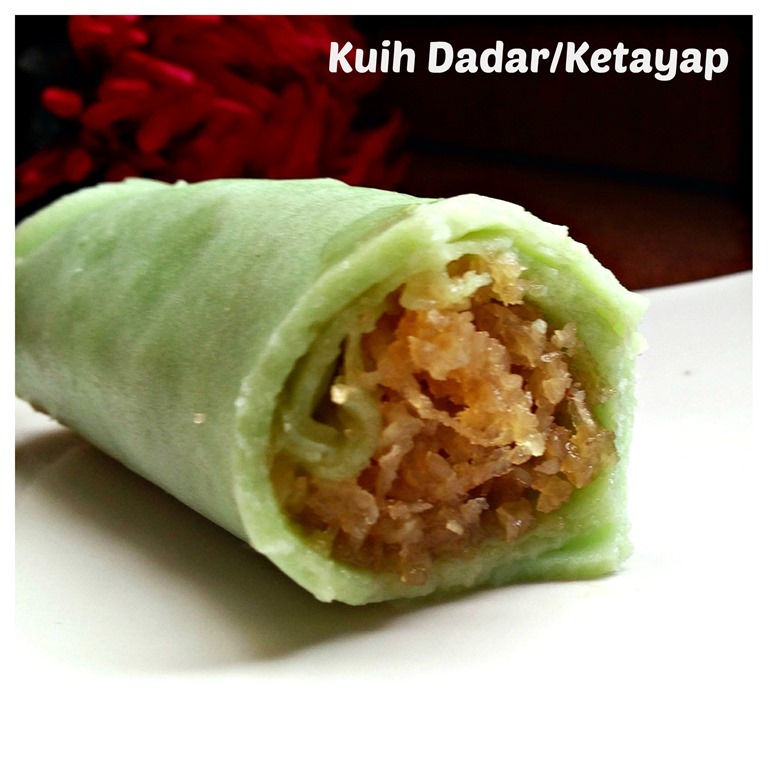 I loved the juicy palm sugar flavoured shredded coconut fillings that is wrapped in a piece of screwpine flavoured green crepe. 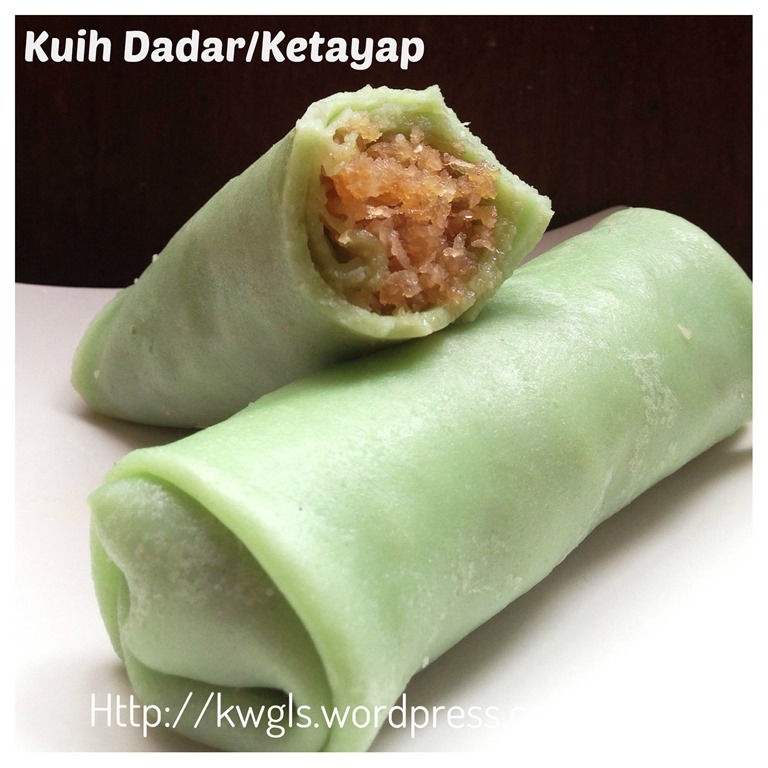 It is one of the must buy items when I frequented the pasar malam or night market. Preparation is straight forward with simple ingredients and preparation methods. 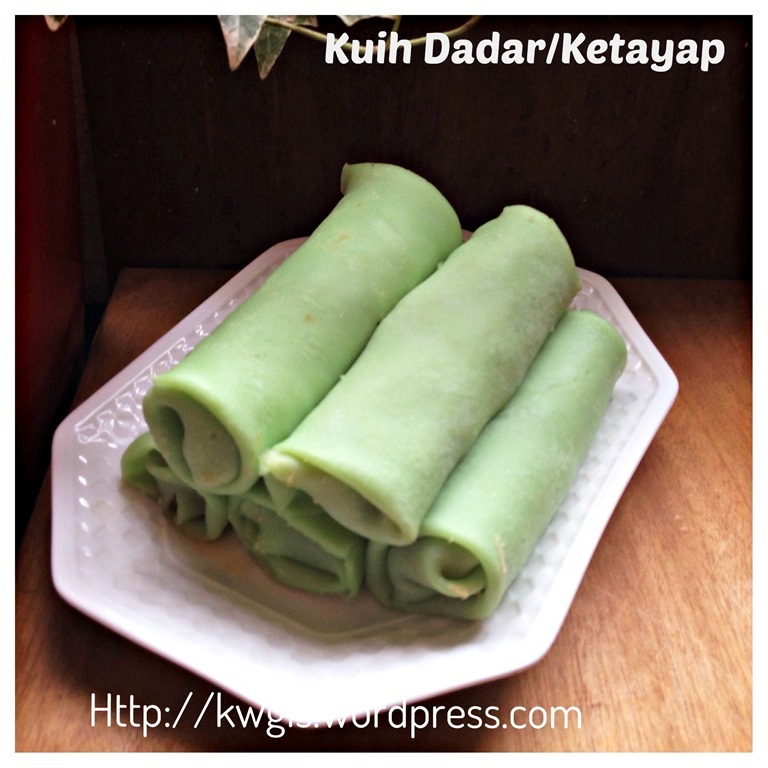 In a big whisking bowl, place all the liquid together, add in the Pandan extract, whisked until well mixed. 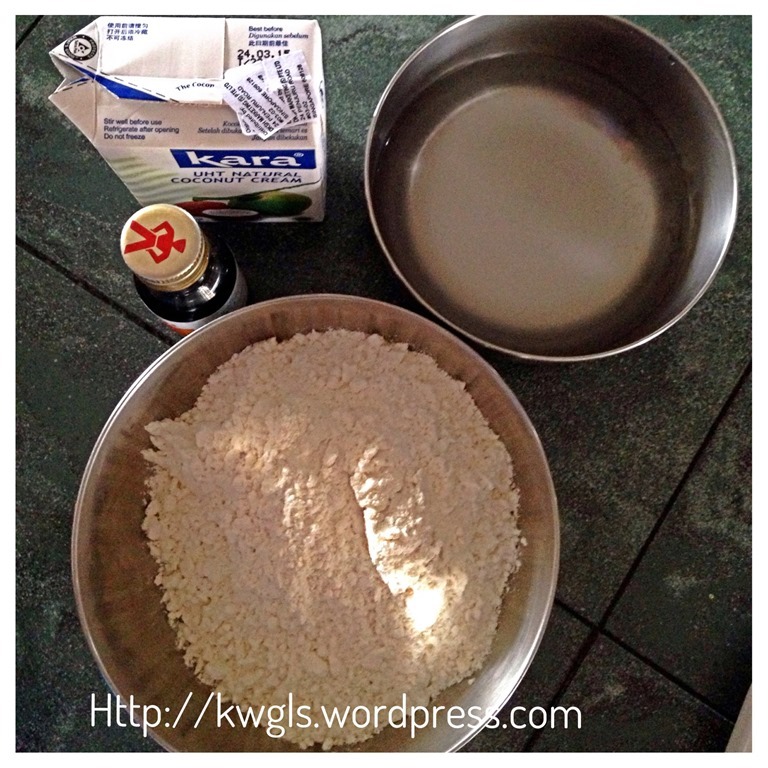 Sift in the flour, whisk until well combined. In a flat frying pan under medium heat, lightly grease the pan with some cooking oil or melted butter. 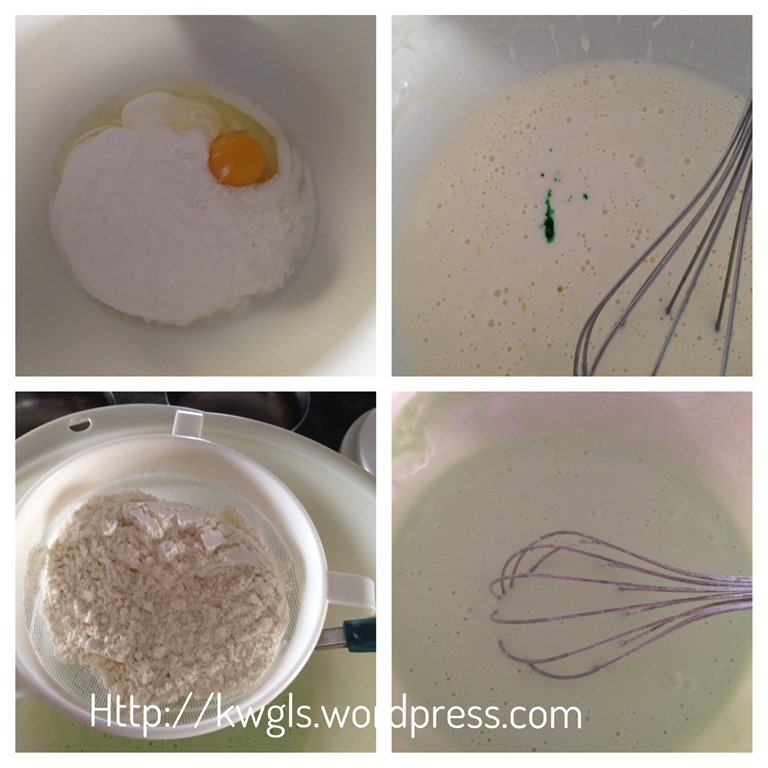 Put a ladle of the batter into the pan and swirl around the pan as evenly, quickly and thinly as possible. Let the wet batter dries up and colour will start to darken which took about 2-3 minutes depending on your heat. Use your hand to take out crepe quickly, put the other side of the batter in the pan and let it cooked for another one minute. If you find the batter slightly thick, add in water tablespoon by tablespoon until it is watery and easy swirl around the pan. Let it cool and set aside. 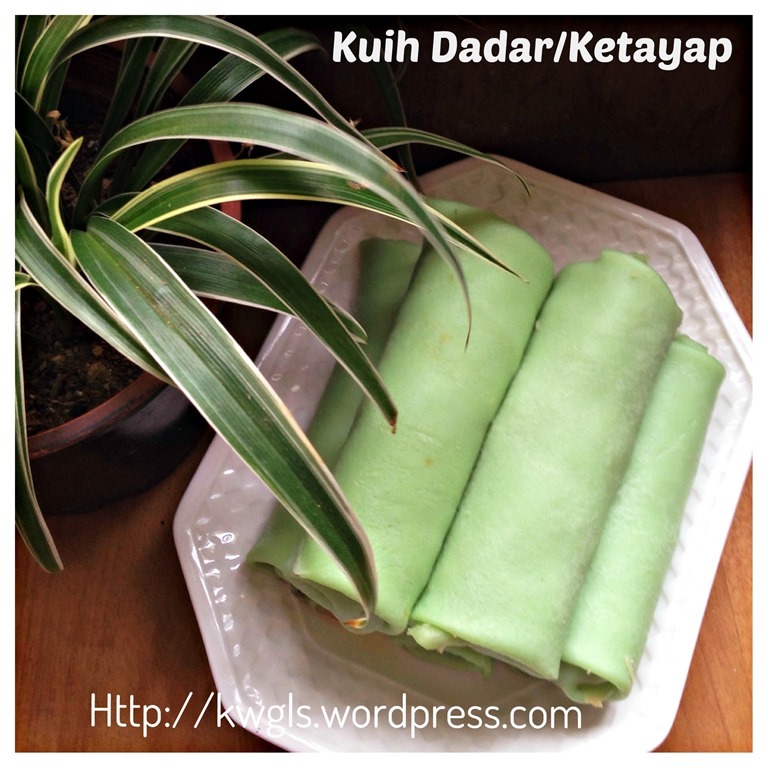 In a pot, put knotted pandan leaves (optional), water and the coconut palm sugar. Bring to boil and until all sugar dissolved. 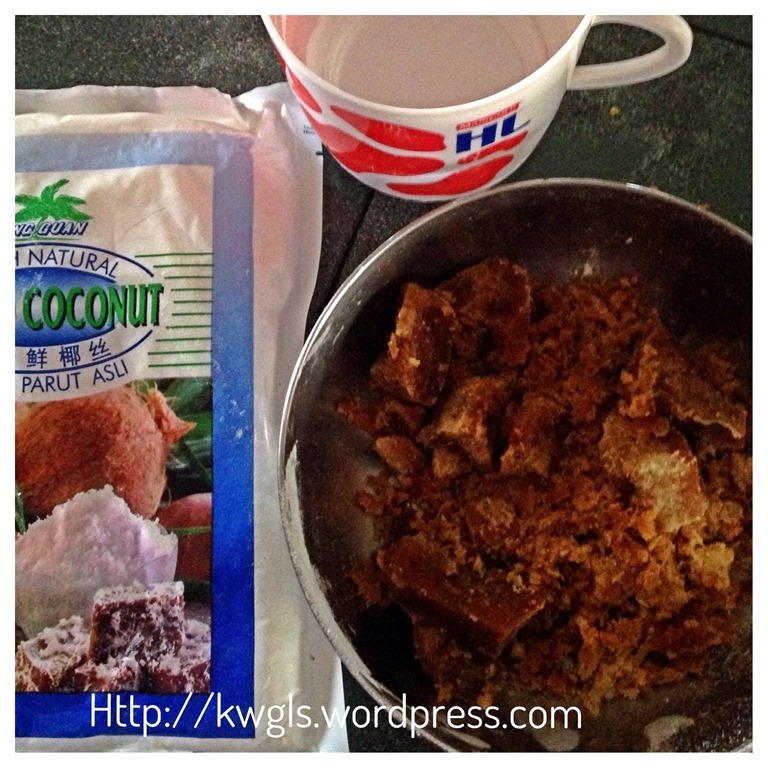 Put the shredded coconut, stir until well mixed. 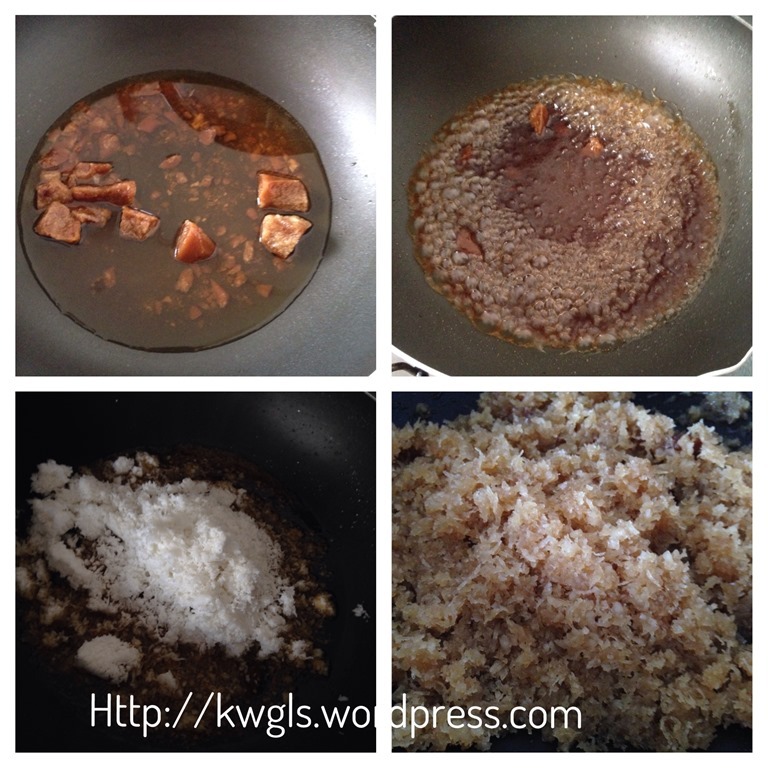 Let it simmer until the shredded coconut is moist and the water almost dry. Transfer to a bowl and let it cool. For assembly, put a crepe in a flat surface. 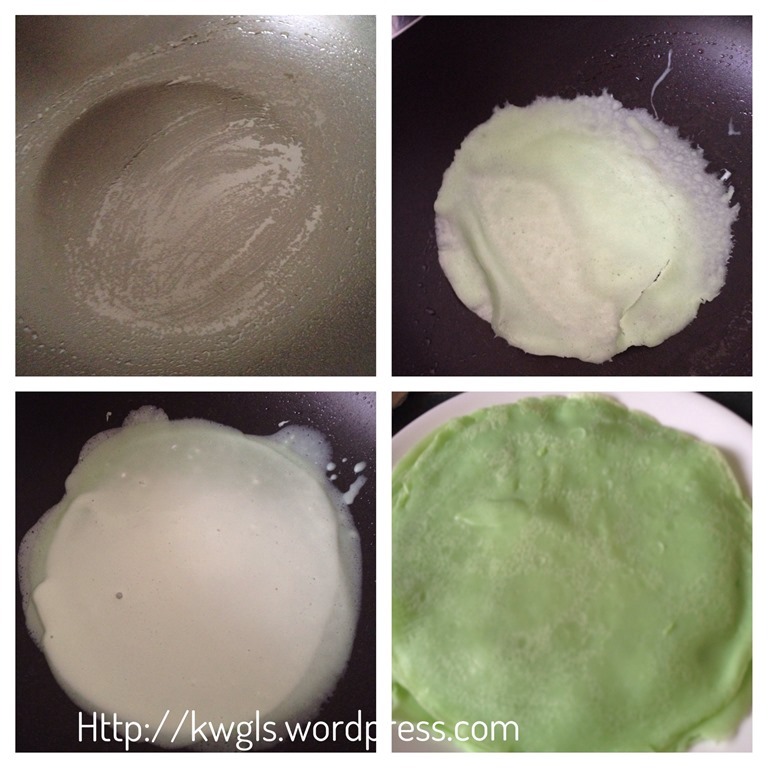 Put 2 tablespoons of coconut fillings on the centre of the crepe. 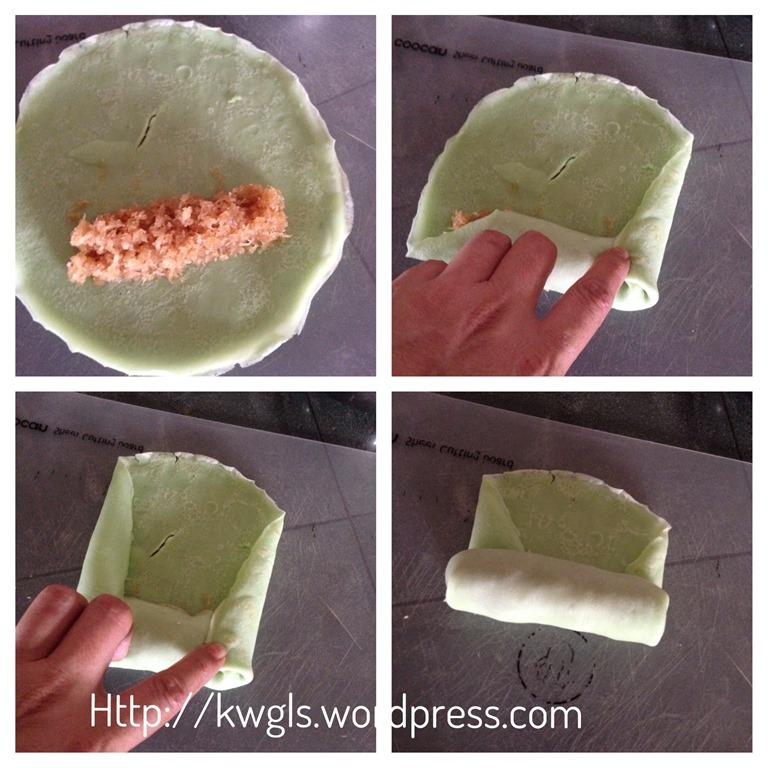 Fold the bottom, follow by left and right sides, then roll the crepe from bottom to the top. Frankly speaking, I am not very satisfied with this batch of crepe as it is slightly thick as far as I am concerned. 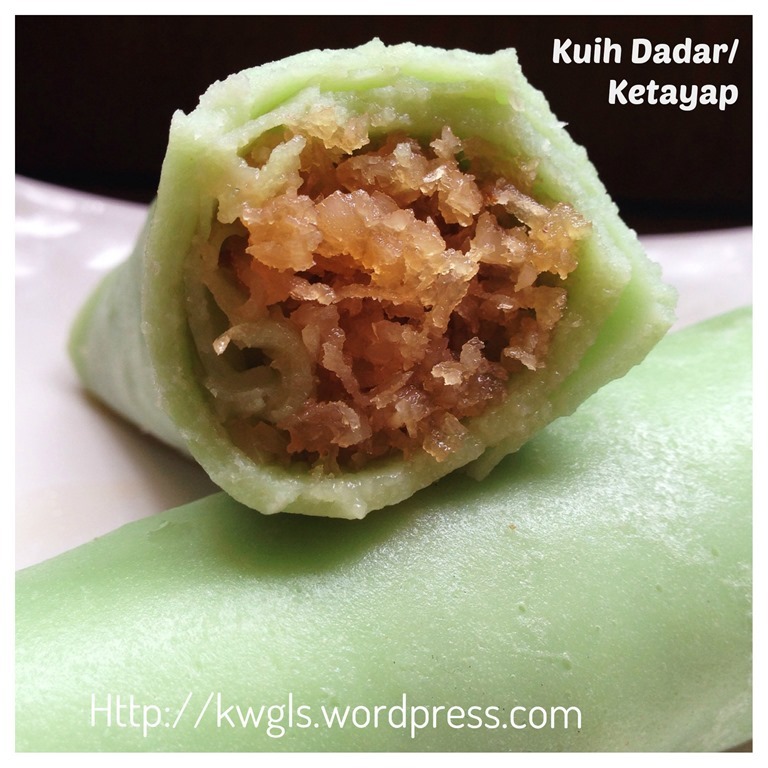 This is due to the thicker batter resulted from the entire package of thick coconut milk that I have used. 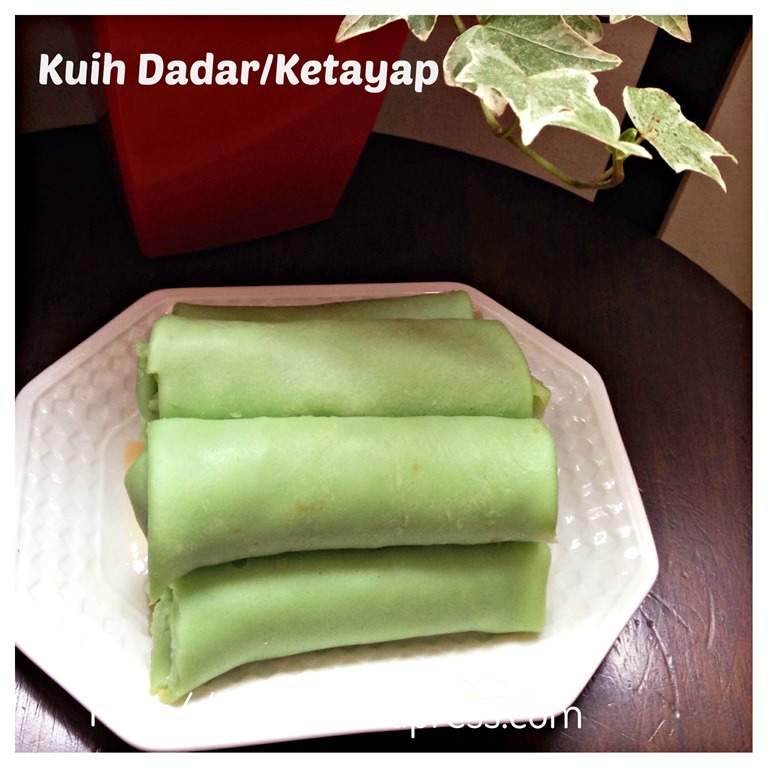 However, though thick the crepe is soft and fragrant. If you wish to have a thinner batter for the pancake, you can adjust the 350 ml of liquid (200 ml coconut milk and 150 ml of water as in the recipe) to the proportion of each ingredients that you want. (for example: 100 ml coconut milk and 250 ml of water). 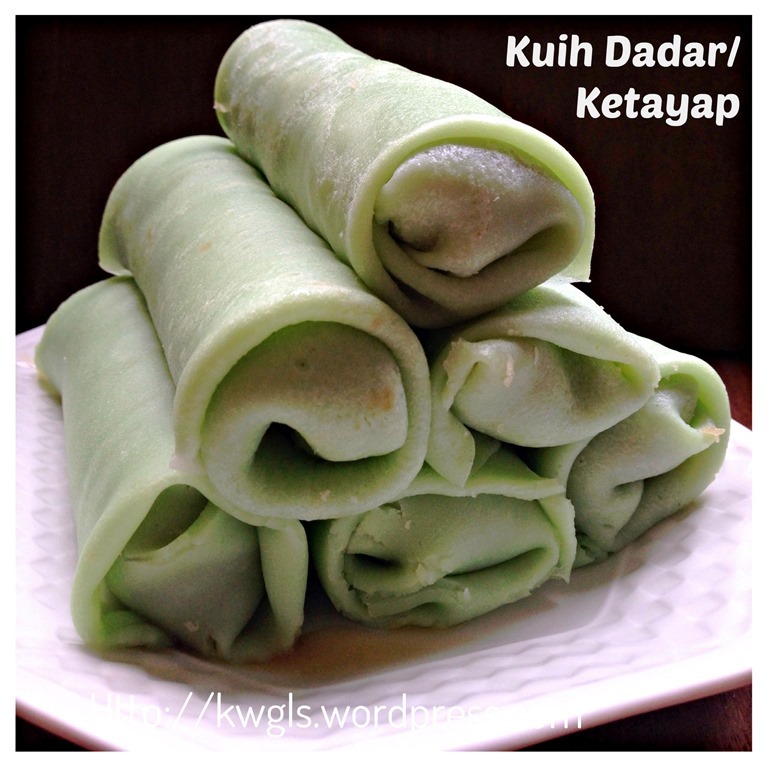 Feel free to change and it wouldn’t ruin you pandan crepe. 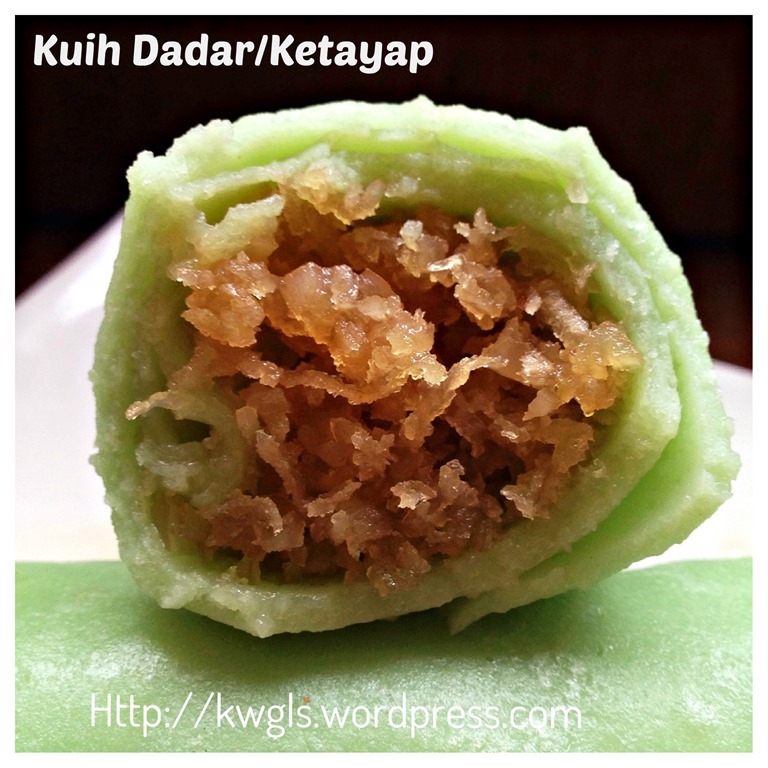 This entry was posted in Chinese and Asian Cakes and Snacks, Food Preparation Series and tagged 8 postaday, 香兰椰丝卷, GUAI SHU SHU, Guaishushu, kenneth goh, kue dadar, Kueh dadar, Kueh Ketayap, kuih dadar, kuih dadar gulung, Kuih ketayap. Bookmark the permalink. 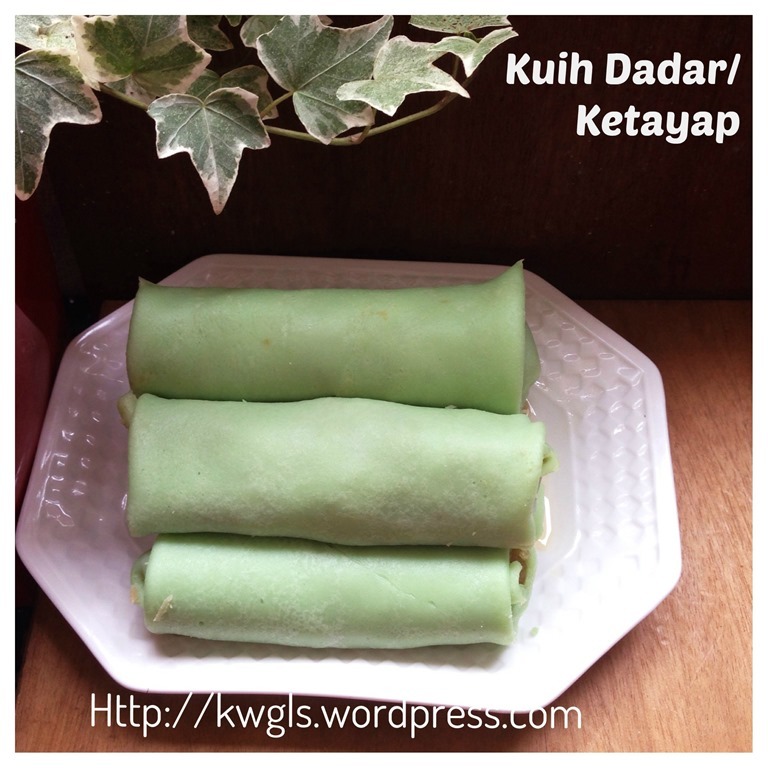 Thank you for the accompanying pics that make the recipe look easy and achievable! I wonder if you have an assistant to help you take pics?